Today is also the first day of “Kummihevonen” charity campaign. 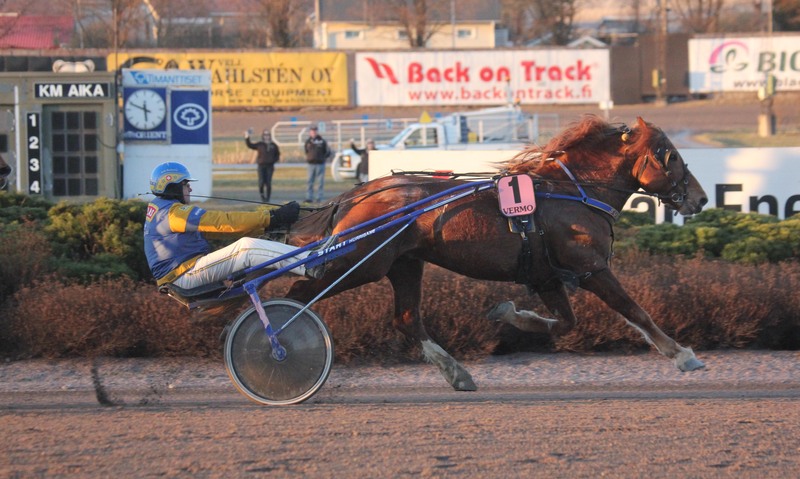 It’s organised by Hippolis, The National Equine Competence Association of Finland and voluntary horse owners. 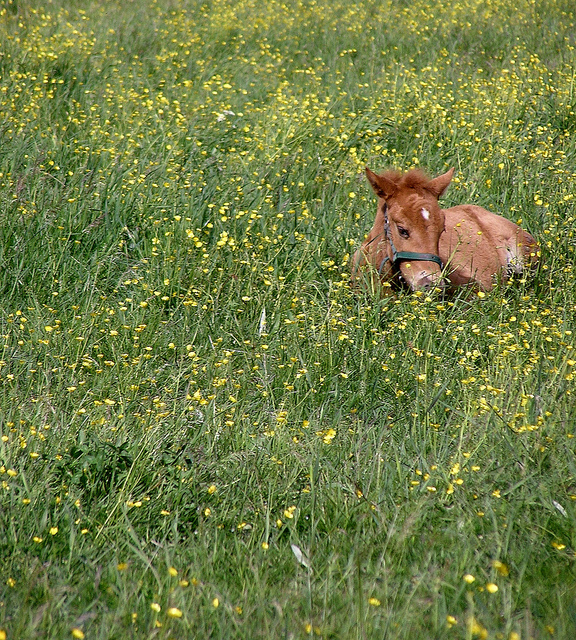 The main goal of the project is to bring horses and horse people closer to the surrounding society with joy and warmth. Horses can visit daycares, schools and retirement homes, for example. There are all kinds of horses involved, but many of them are finnhorses (see them all here). We decided to take part with Epeli. The local school is only 5 km away from our stable, so it would be quite easy to take Epeli to visit the school. The project lasts from September to December 2015. 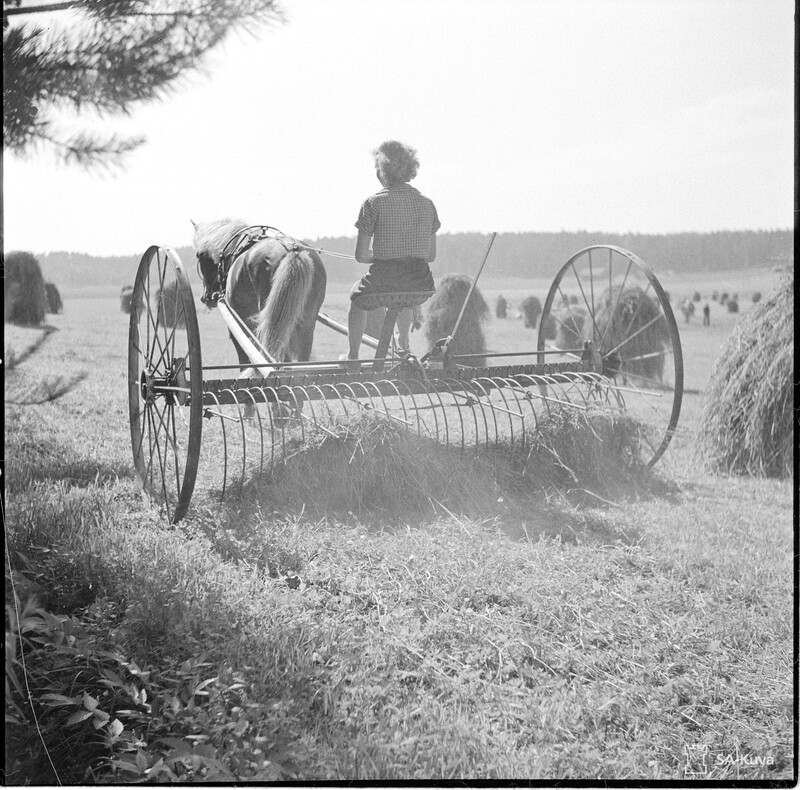 Categories: Art & Culture | Tags: finnhorse, finnhorse day, kummihevonen | Permalink. On Vappu, or Valpuri (May 1), the “little summer” is beginning and will last until mid-summer. Sowing could begin. 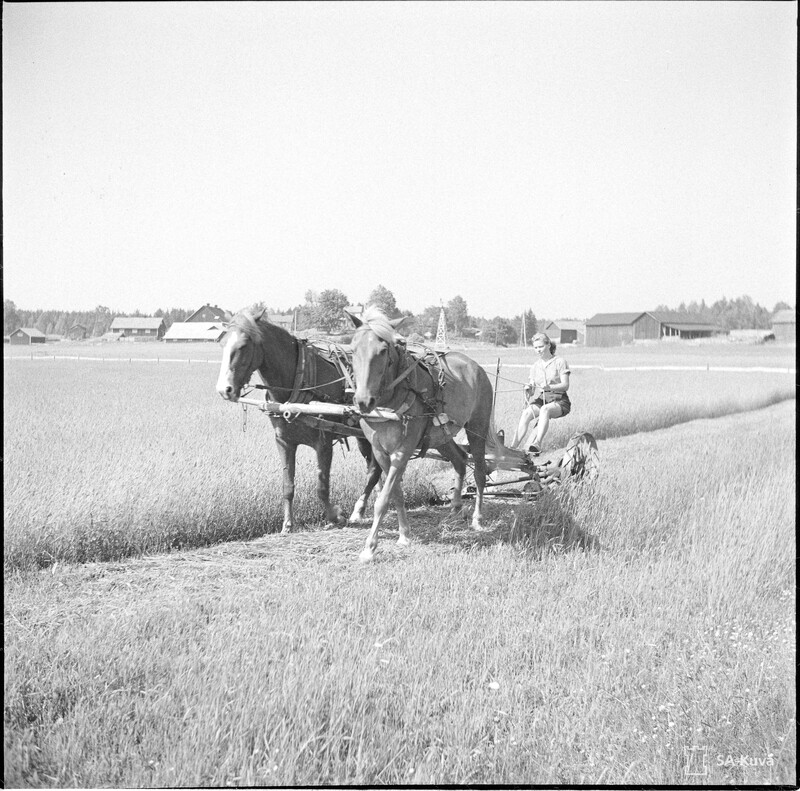 There were only eight weeks to Juhannus, during which all the work on the spring fields had to be done. In southern Finland Vappu was another day for letting the cattle out of the winter shelter in addition to Jyrki. The customs of the day ensured cattle would be safe, prosperous and give a lot of milk. 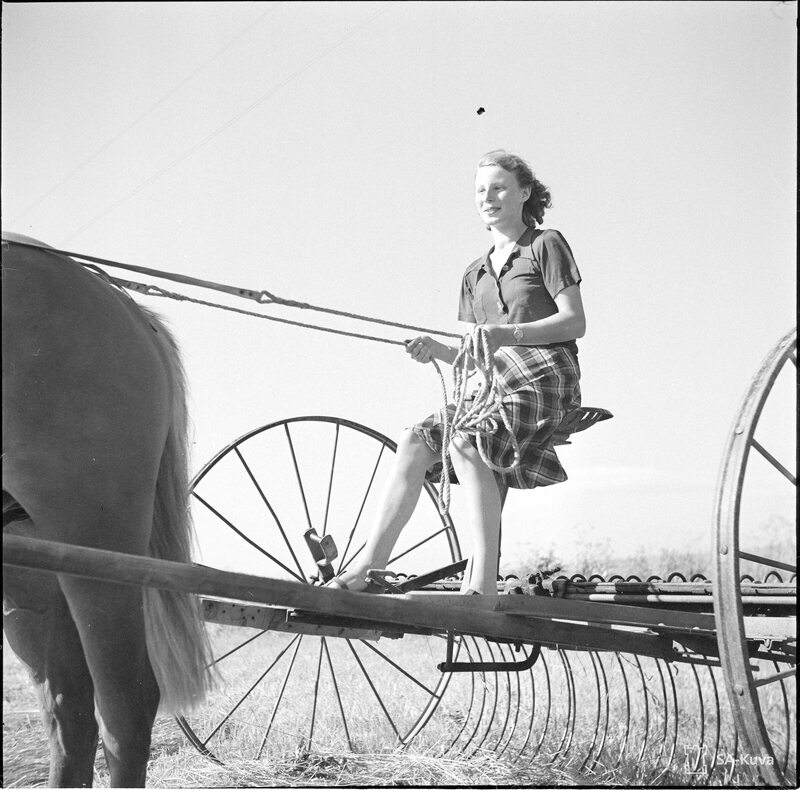 Cattle luck was strengthened, among other things, by walking around the forest pasture while carrying protective objects and gently wiping the cows with a whisk made from the new fertile spring branches. In the morning shepherds played their alder and goat horns and gave cows their bells. 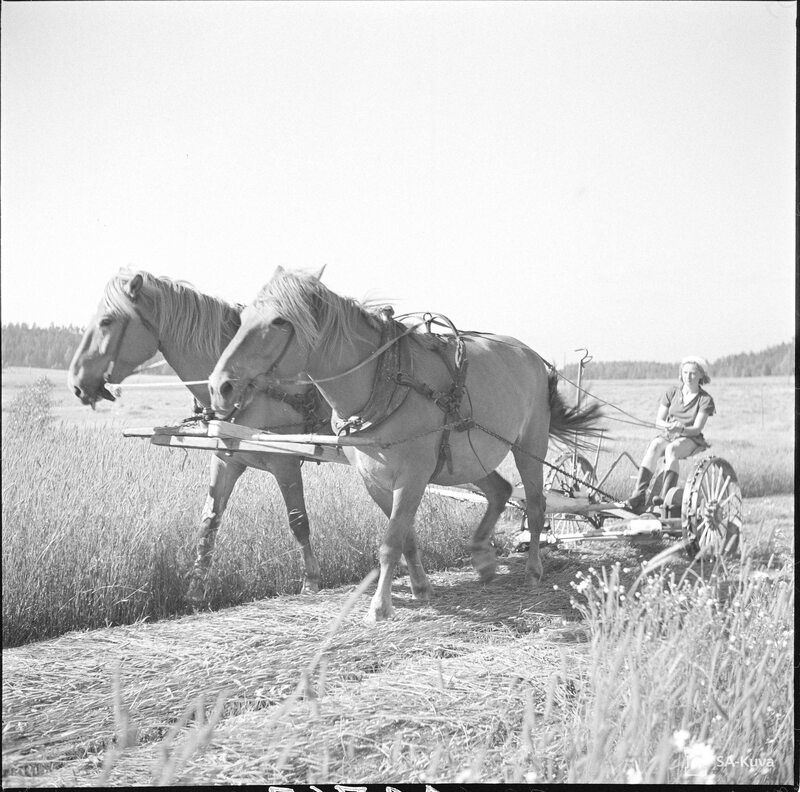 Horses were allowed to swim in the stream on Vappu, so that flies would not bother them in the summer. People also gained health and vitality by bathing in the icy water of creeks and rivers. It was said that “Vappu comes with a whisk under its arm” and at least in the Karelian Isthmus, where the spring arrives early, people could actually bath with new whisks on Vappu. 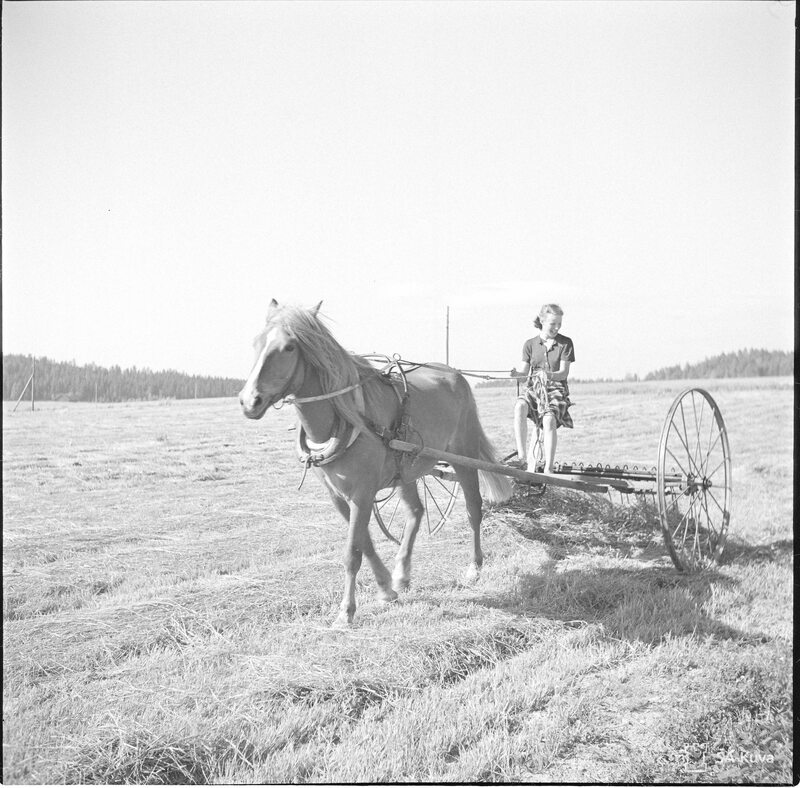 In Satakunta people used to ring the cowbells and shout: “Vappu come, Vappu come, come to the barn!” so that cattle would come home from the forest in the summer. In South Ostrobothnia women attached bells to their skirts and dressed up in bizarre clothes. Then they run across the village ringing the bells. Other villagers tried to stay hidden and surprise the runners by pouring water on them. This game was said to ensure there would be plenty of milk in the summer. 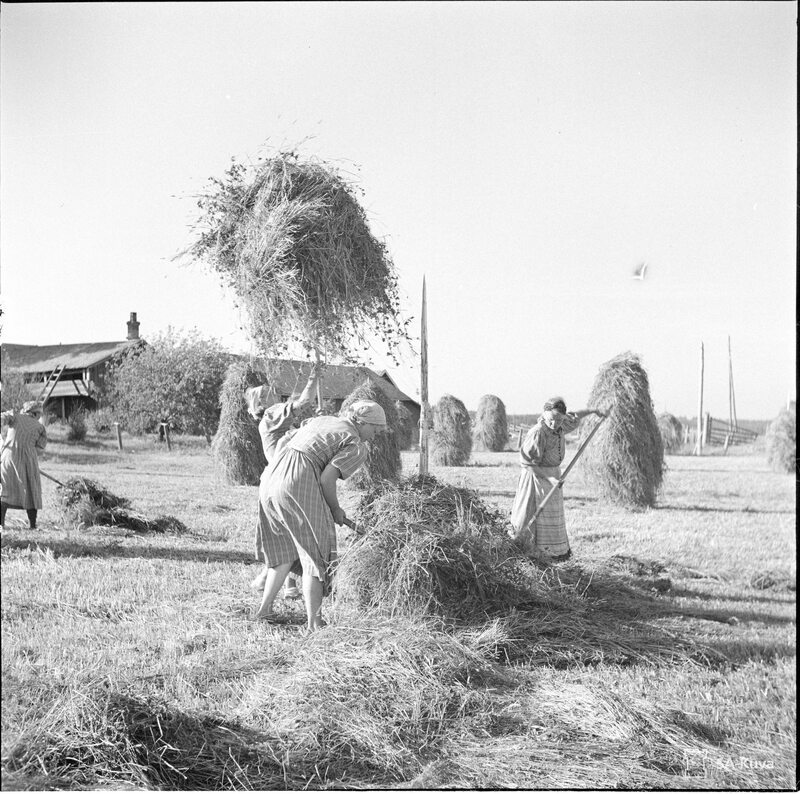 There were also other playful traditions associated with Vappu. On some regions people tried to pull pranks on each other. One person might be asked to bring some non-existing thing, such as “tail-pulling-wood”, from the neighbour. If the neighbour was in on the joke, he would tell the unsuspecting person to go and ask from the next house. It was said that “the cuckoo sings on Vappu, at least in its nest inside the pine tree or in a uuttu”. Uuttu or uu was a birdhouse placed on a tree near the lake shore. Every house had its own uuttu. The nests were cleaned for the spring so they would be ready when the “uuttu birds”, such as goldeneyes and mergansers, migrated back from the south. When the birds begin their laying period, people took few eggs for food from the nest, but not all of them.